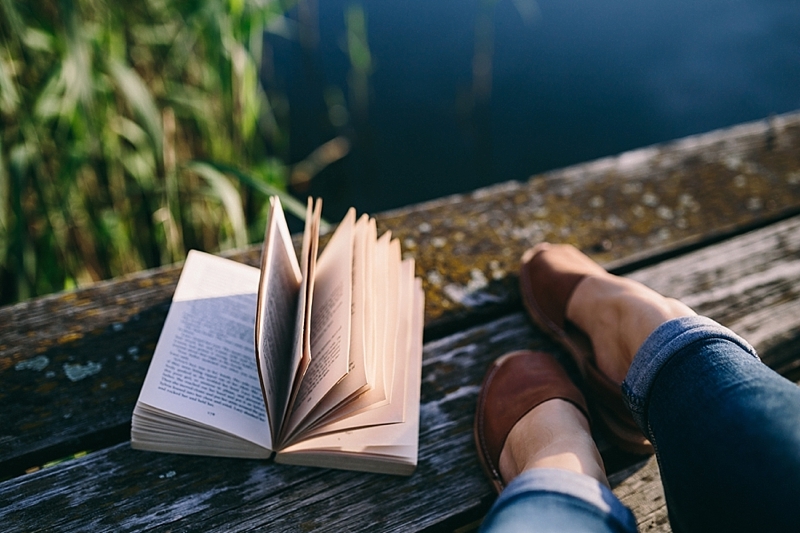 ecause our 6 Travel Bucket List Ideas to Add to Your Netflix Queue feature was so popular, we knew we wanted to pull together the literary world into our favorite travel-inspired picks. 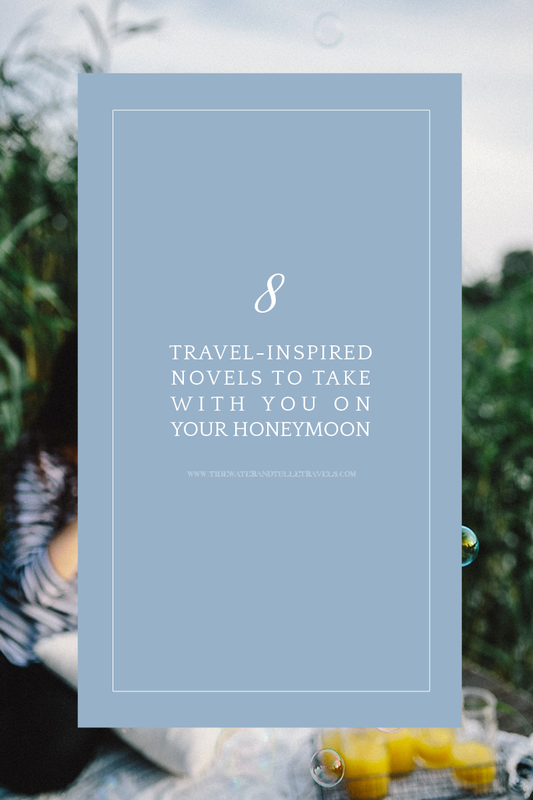 From Africa to England to Australia to Yugoslavia, this list will have you hopping all over the globe as you honeymoon in some place fabulous. Warning, these will likely have you planning your next vacay before you're headed back home! So whether one of these is an introduction to a new destination or is just holding you over until you can actually visit, enjoy these favorites. No passport required. Road trip adventures are always the perfect setting for new discoveries -- destinations and for the self. If you love novels that dare to explore and see quirky characters chart their own paths with a dash of comedy along the way, Traveling Light could be a new favorite of yours. Told in first person and in the present tense, you're front seat with Alissa as she goes on the trip of a lifetime. You can tell when an author does his research to weave a tale of exotic places, history, and his own story. With beautiful imagery and perspectives in lengthy detail, The Piano Tuner is definitely a must-read for those who love 19th Century British Literature literary style and captivating destinations in southeast Asia. It's insta-travel in your hammock! What better story can you get when sheep (yes, you read that right) are determined detectives?! Charming Irish countryside with a whodunit spin is just what a light-hearted vacation orders. If you love Agatha Christie (catch the sheep named Ms. Maple? ), the Emerald Isle, and adorably clever animals, Three Bags Full has the cast of characters and the right amount of sleuthing to keep you entertained an afternoon. Set in Australia suburbia surrounded by three distinctive women's lives, there's a reason that Big Little Lies is a huge favorite amongst readers. With a funny skilled writer at the helm, Big Little Lies is a domestic tale that weaves in interesting characters and surprising plot twists to keep you intrigued until the very end. It shows how every marriage is different, especially in a small beach town. Even if you don't have kids but are a fan of Desperate Housewives, this would be one to stash in your straw bag! It takes a talented writer to literally paint a world with her words. In A Spear of Summer Grass, the human characters almost fade in comparison to the breathtaking setting and portrait of the African country of Kenya. Safari life, brilliantly painted sunsets, and vibrant red dust all become important to the story but also to the reader. If you love books that transport you to its destination, this is a must read and might have you wanting to book the next flight to Nairobi. It's an oldie, but a classic goodie for train travelers and murder mystery lovers alike. Famous for her sleuthy detectives, Agatha Christie created worlds of whodunits and brain bogglers. Thankfully each of her novels can be standalones, so when you dive into Murder on the Orient Express, you won't be left wondering what happened before. Likely this might be a re-read for you or you might be discovering Hercule Poirot for the first time, either way, you'll feel like you're in the board game, Clue as you read by moonlight on your hotel's balcony! As the king of urban fantasy, Gaiman pulls, no, actually yanks, in every reader into worlds your imagination didn't even have one iota of dreaming up. With a twist at every corner and a bit of a dark story (one you might not think of bringing on a happily ever after honeymoon! ), Neverwhere gives you appetizers of Wizard of Oz and Milton's Paradise Lost allusions which will make any literature fanatic stoked. If you love mythology, a rollercoaster feast of characters, and an upside-down London, then who says poolside reads always have to be light-hearted?! Not us!